An aggressive magpie will be moved from Spinks Park, Lismore. 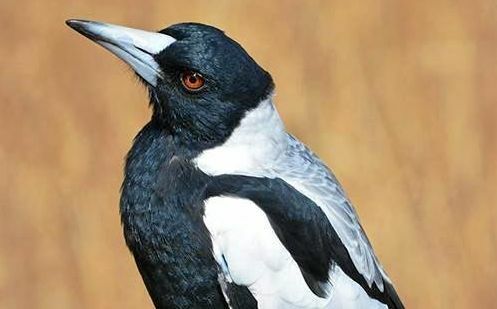 UPDATE, 2.30pm: LISMORE City Council's environmental strategies coordinator, Leonie Walsh, said she could understand people's concerns about plans to relocate an aggressive magpie. But she said although dangerous behaviour was rare in birds, when it occurred it was important the bird was relocated. "It's understandable people are concerned about interfering with birds and they are correct this is natural bird behaviour," she said. "However, both Griffith University and the University of New England have done research over the years to develop ways to safely trap and relocate them; if they are relocated at least 50km away, the bird won't come back and will adapt fairly well and find a new family." Ms Walsh said it was usually the male showing the aggressive behaviour. "When he is removed another male will usually move straight in," she said. "He is so pleased with the opportunity that in most cases will look after he family better than his predecessor and with less aggression." Original story: A "VERY aggressive" magpie will be moved from Spinks Park next week after Lismore City Council received a number of complaints. The council posted the news on its Facebook page today. "We will be relocating a very aggressive magpie from Spinks Park next week but in the meantime please avoid this area," they wrote. "The bird is having a go at anyone walking/cycling along the path behind the old gallery building, through the rose garden and near the kids playground. "We are awaiting approval and will relocate the bird as soon as possible." The post attracted a lot of comments from people who were concerned about the magpie being moved. Katrina Ulyatt: "For goodness sake it's protecting its babies and being a wonderful mother. It's not a crazy rogue bird out to kill humans. Its been there for years and its only for a short time during the breeding season." Roach Lentil Minkov: "Please don't move them away from their family. People just can avoid that area for a few weeks; it's no reason to break up a family. Birds form even stronger bonds with each other than we do. Amy May Lawrence: "Moving a bird from its territory and family does more damage than one magpie could do to any person walking by. It's good to be aware that it's aggressive so if people have to walk past there they can be prepared but I don't think it should be relocated." Trish Strange: "Do not relocate this magpie - it is so unfair to move it away from its territory and could cause it to die - just feed it some worms - it will be eating out of your hand in no time." Evelyn Jameson: "Don't move this bird from its territory and its mate and chicks. Surely it's only aggressive for the short mating season. People can wear hats/ice cream containers & sunglasses in the meantime or just avoid the area." Ali Rayner: "Council, you have not done everything you can. First, put up signs and educate the public on how to behave in nature. We cannot idiot-proof the natural world. We must educate people. "Relocating is a terrible idea. This magpie has a family and a territory. It alerts us to snakes in that area, as well as warding off other predator birds and feral cats. "Relocating a magpie can have a negative effect on smaller wildlife and public safety. "Magpies are super intelligent and reasonable. "They remember faces and never swoop a meal ticket. "People, offer food and don't walk your dogs near their area (at least off the leash)." In response to the concerns, the council wrote: "We understand people's concerns and most of the time, swooping behaviour does not pose a danger to humans. "We would not normally relocate a swooping magpie... it is something we all need to manage and live with. "However, occasionally we come across a very dangerous and aggressive bird such as the one in Spinks Park. "Relocating a bird is an absolute last resort for us but given its proximity to a well-populated area where there are children, the decision was made that for public safety reasons we needed to relocate it. "This is not a decision we take lightly and we do appreciate there are many different views on this matter."